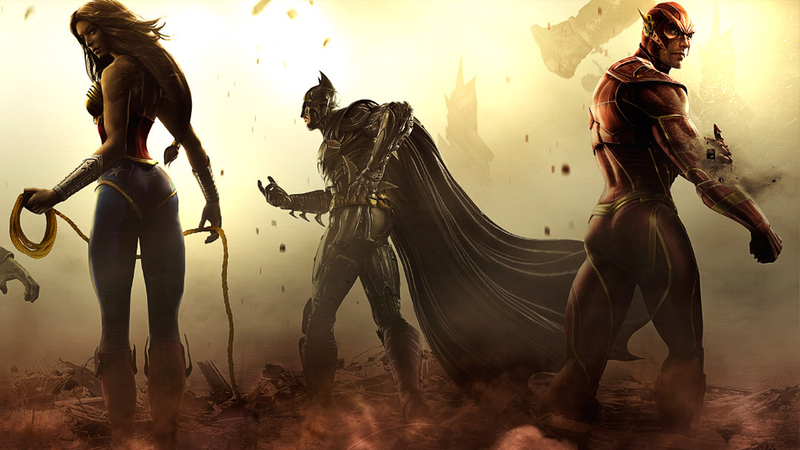 I had the pleasure of getting my hands on a copy of Injustice: Gods Among Us , the new superhero fighting game from NetherRealm Studios, the folks that brought us Mortal Kombat. This game is very much in the vein of the new Mortal Kombat (that isn’t a bad thing at all), with heroes and villains fighting epic battles on a huge scale, with lots of over-the-top sequences. 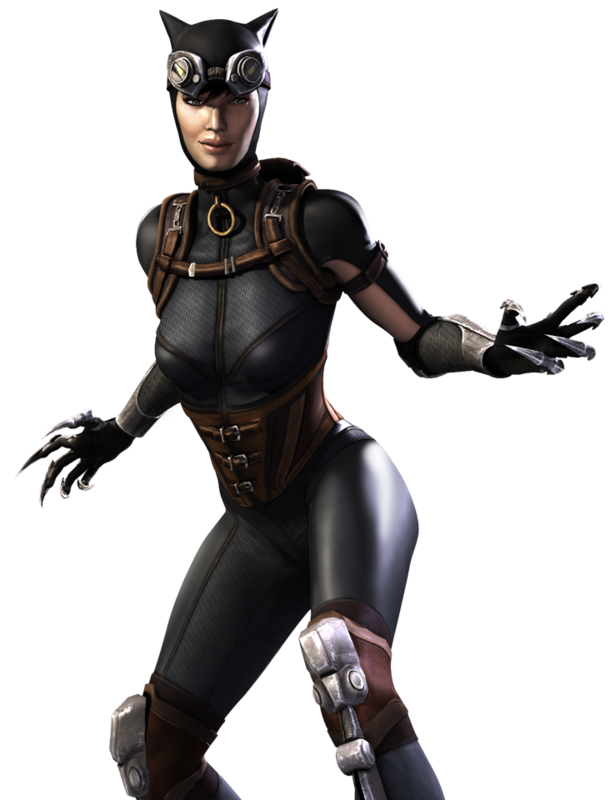 The storyline is very authentic, and was apparently created in collaboration between NetherRealm Studios, DC Entertainment, and writers Justin Gray and Jimmy Palmiotti. Before diving into the game review, I’d be remiss not to mention the AWESOME comic attached to the game. What? Yeah, I know that sounds like crazy talk! 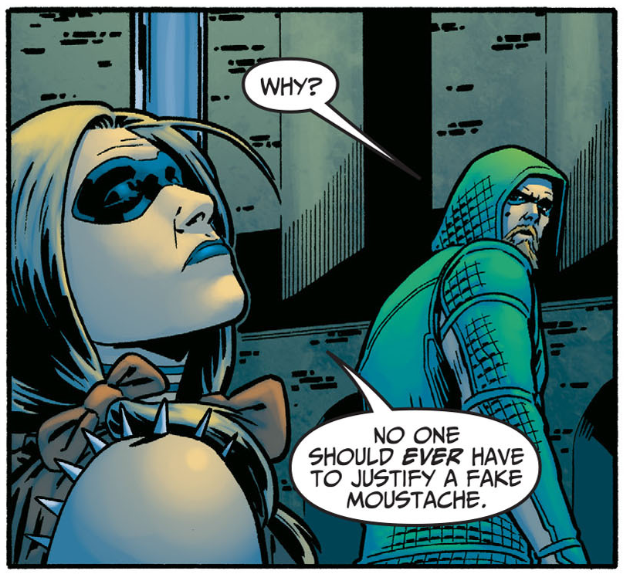 But the Injustice: Gods Among Us comic series is amazing. I intend to write a full review this week, but in the meantime, you should just know that it will add to your game experience in a meaningful way. Without spoiling anything, I will just say that they actually mean it when they say a deep story. The comics add even more depth to it, but basically you are given excellent reasons for why you are fighting the heroes and villains you are, as well as a minor explanation for how the lesser heroes and villains are keeping up with the stronger ones. 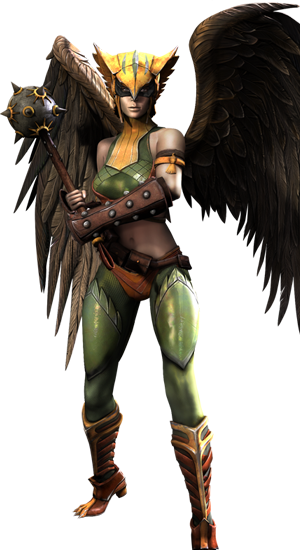 There are twenty-four characters, including Wonder Woman, Hawkgirl, Raven, Killer Frost, Harley, and Catwoman. Three girls for the bad guys and three girls for the good guys. Overall, this was a pretty eclectic mix of DC fighters, and I was happy to see them attempt to be a little different by including characters who normally don’t make it into the big name fighting games. The characters are split into good and evil, as well as power-based characters and tech-based characters. I found the tech -based characters harder to play, of course (if you know me, this makes sense), but I wouldn’t say the power-based characters are better than the tech ones, they just suited my play style. The graphics are solid, realistic, and ugly. Yes I said ugly. I’m sorry, but it’s the same complaint I had with the new Mortal Kombat. This is not a pretty game. The intro graphics looked beautiful, until the first person showed up. It was kind of obvious what their graphic priorities were in the game. 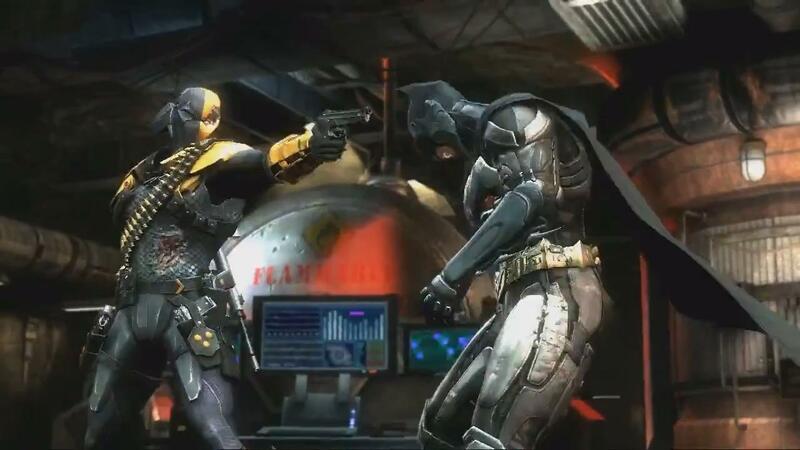 Backgrounds, cutscenes and special moves look awesome, but character rigs and model faces look strange. What music? That about sums up how I felt about the music. It was appropriate to the scenes, but not spectacular. There were fifteen stages, and I can’t think of any of their music without going and checking. It sounds like an epic battle is raging. Speaking of stages, the stages in this game are a joy to play on. They are varied and interesting, with a great level of interaction. Not only can you smash into and through things into transition stages, but the backgrounds also react to the level of damage being tossed about, with candles jumping in the background, holes appearing in the ceilings, etc. You can also propel yourself off of objects, trigger traps, or hurl objects at your opponents. The transitions were my favorite – they looked so painful! There are quite a few modes to play, which really adds to the re-playability of this game, with or without friends around. There are the multiplayer modes, such as versus and online mode. In online mode, there are multiple ways to play with other folks: ranked matches, private matches, 1v1, Koth, and Survivor modes. For single player, there is story mode, arcade mode, S.T.A.R. Labs, and a training mode. There is also a Battle Mode, where you can choose to fight only heroes, only villains, while poisoned, or in survival mode. Story Mode was just excellent. Not only was it deep and involving, but it was also hilarious and fun. Sometimes it would even throw in relevant quick time events that would give you the chance to lower an enemy’s health before a fight. You all know how much I hate QTEs, but these were actually pretty small and not very obnoxious at all, especially since they didn’t really matter and moved so slow only a toddler could miss them. Playing Story Mode was like watching an excellent cartoon or reading a great comic, and that’s pretty amazing to say about a DC superhero fighting game. S.T.A.R. Labs was pretty cool and is where I spent most of my time after beating story mode. Each character has a set of missions that are like mini-stories with tasks you need to complete. 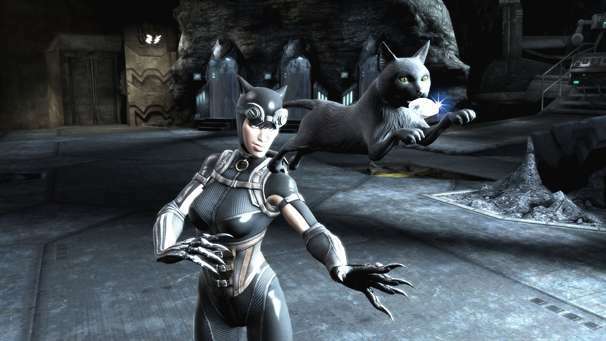 These tasks include more than just defeating enemies: they range from keeping Superman in the sunlight to playing as Catwoman’s cat. You earn stars in missions by accomplishing one or all of the three goals. A certain number of stars opens up the next sets of missions, and so on. Now, the moment we’ve all been waiting for. So how is the fighting? Pretty darn fun. I think this game will be a darling among the fighting game community, actually. The combos and fighting system is basically the same as Mortal Kombat. You use directional buttons and attack buttons to do light, mid, and high attacks. At your disposal are moves, combos, special moves, stances, the move specific to your character, and the special move specific to your character. There is also a bounce cancel and the ability to juggle characters around like a beach ball. 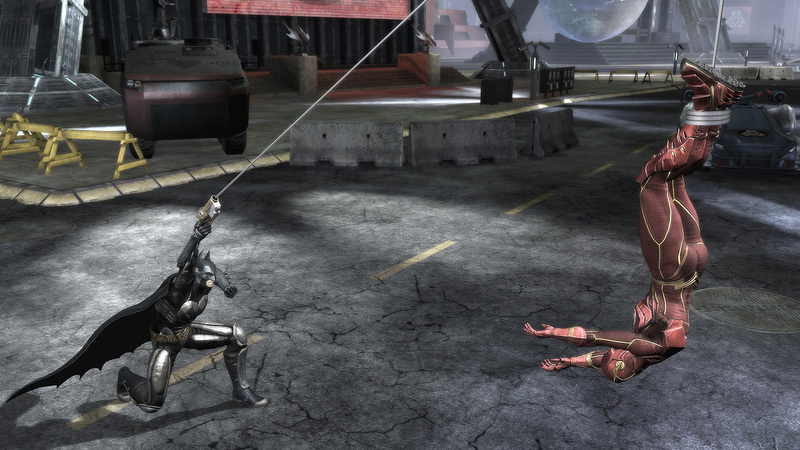 Examples of moves specific to characters include Batman’s remote bats, Hawkgirl’s flight, and Flash’s speed. The full special moves are generally pretty funny because they’re so over the top. You’ll see what I mean; I don’t want to spoil the surprised grin that’s going to flash over your face when some of these happen. There is also an interesting little system called the clash. Basically, the clash allows the defender the chance to regain some health and the attacker the chance to inflict more damage. It can be initiated once per match per character after revealing the second health bar. During the timed wagering phase, each player has the option of secretly wagering an amount of their super meter against their opponent’s amount. If the defender wins the clash, they will gain an amount of health determined by the difference of how much meter was wagered. Is the fighting perfect? Not by any means. Depending on what type of fighting game you prefer, you may find the combat repetitive – or certain characters will seem very overpowered. Then there is the sheer nonsense of watching a Joker beat a Superman…it just seems absurd, despite the story-driven reason given for the inconsistency. However, the good definitely outweighed the bad for me. 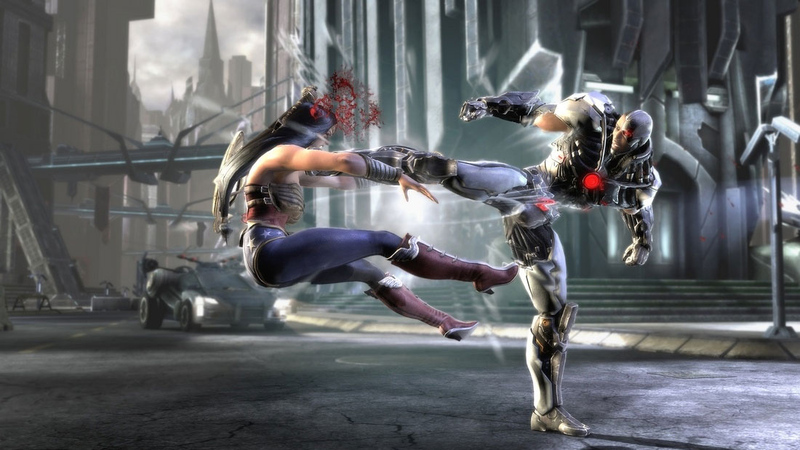 As much as I hate to admit it, I think NetherRealm did a great job with this game. The story is deep, plausible, and funny, the fighting is solid, and there are tons of options to hold your attention. Despite the ugly-fied graphics, boring music, and hideous face models, I just can’t dislike this game! Now off I go to defeat more foes in online mode! See you there. The in-game models were nicee…. 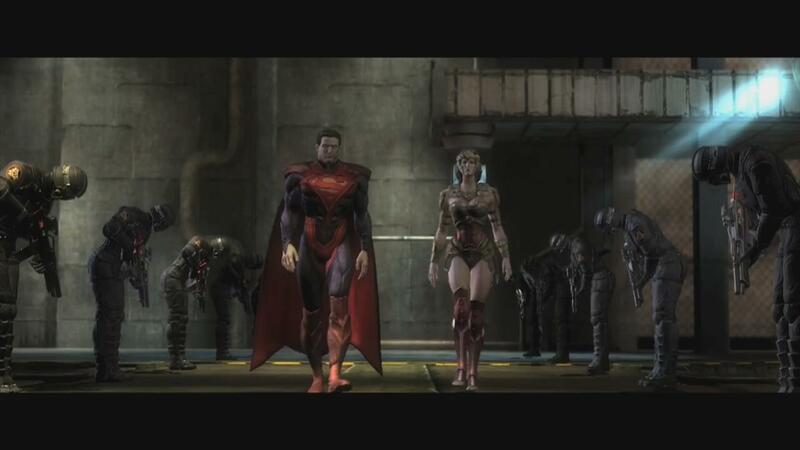 Batman looked really ugly though; but i think, the cutscenes had horrible animation,especially the first one. 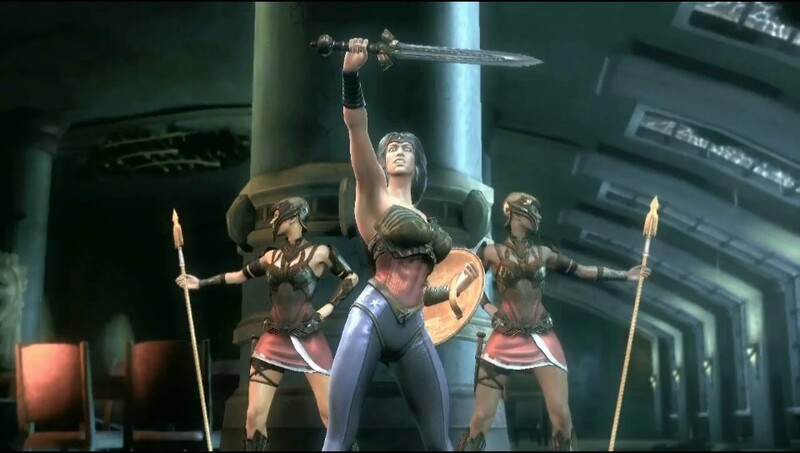 Probably, NetherRealm guys focused on the fighting mechanics and battle arenas , and dd a really great job at that. Overall, it’s a game that is really fun to play. Just an FYI: I read this entire article while quite possibly foaming at the mouth. There are NO words for how desperately I NEED to get my paws on this game!!! DAT NIGHTWING!! !